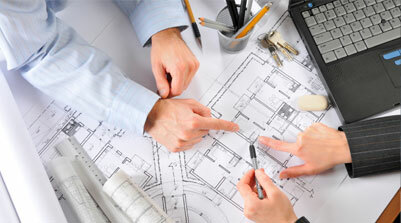 The skills associated with the planning & design of commercial office interiors are often underestimated. Our team of experienced technicians has a proven track record working alongside renowned architects & interior designers on some of the UK’s most prestigious projects. Our planning & design process generally comprises eight basic steps the first of which is to develop an understanding of our client's business, perceived image and anticipated future development. We will carry out interior surveys and feasability studies and analyze the range of issues including work practices, workflow paterns and the inter-relationships between groups and individuals. 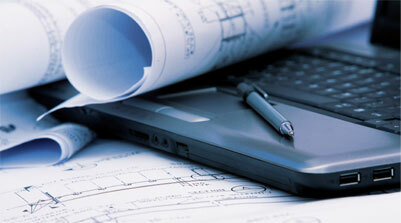 Filing and equipment audits are carried out whilst accurate building profiles are developed. Using the most advanced CAD technology preliminary schemes are prepared, once accepted, detailed layouts are generated to unify building services with the proposed partitioning, lighting and furniture configurations. Photo realistic images may also be created. If new furniture is required we will help in the development of appropriate workstation specifications and provide generic layouts. Once a final layout is agreed we will propose relevant ranges of furniture that suit the agreed criteria and importantly, the budget. Our final proposals will be responsive to change and the resulting environment will be functional, long lasting, cost effective and aesthetically pleasing. Most importantly, together with our client, we will create a workplace within which their people can maximize their most valued assets, knowledge and time.